Vehicle Specific ECU's There are 19 products. 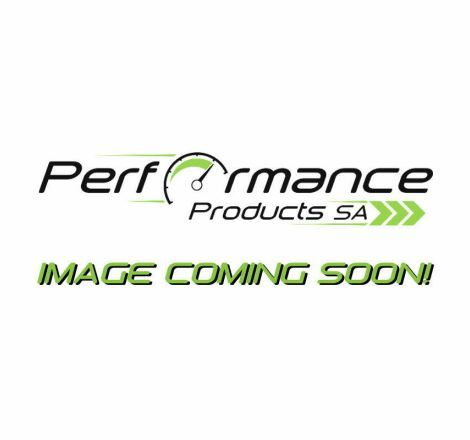 This product is a plug-in ECU designed specifically for the series 1 Mazda RX8 FE. It’s a direct plug-in to the factory wiring and connects in series with the factory ECU. It is not an interceptor; it’s a piggyback ECU so you have full control over fuel, ignition and the ports. This product is a plug-in ECU designed specifically for the NA8C model MX5 / Miata. It’s a direct plug-in to the factory wiring and allows you to expand the system to use all the features of the 440 ECU. This product is a plug-in ECU designed specifically for the Nissan 180SX / Silvia SR20DET S13 Redtop. It’s a direct plug-in to the factory wiring and allows you to expand the system to use all the features of the 440 ECU. This product is a plug-in ECU designed specifically for the Nissan 200SX / Silvia SR20DET S14, and the S13 CA18DET. It’s a direct plug-in to the factory wiring and allows you to expand the system to use all the features of the 440 ECU. This product is a plug-in ECU designed specifically for the Nissan S15 200SX / Silvia (SR20DET), Nissan S14a 200SX / Silvia (SR20DET) or the Nissan S13 Type X 180SX / Silvia SR20DET. It’s a direct plug-in to the factory wiring and allows you to expand the system to use all the features of the 440 ECU. This product is a plug-in ECU designed specifically for the 6 cylinder coil on plug RB2xDE(T/TT) and VG30DETT vehicles. It’s a direct plug-in to the factory wiring and allows you to expand the system to use all the features of the 440 ECU. This product is a plug-in ECU designed specifically for the distributor type SR20DE(T) / KA24E vehicles. It’s a direct plug-in to the factory wiring and allows you to expand the system to use all the features of the 440 ECU. This product is a plug-in ECU designed specifically for the RX7 series 6 twin turbo. It’s a direct plug-in to the factory wiring and allows you to expand the system to use all the features of the 440 ECU. This product is a plug-in ECU designed specifically for the series 8 Mazda RX7 FD3S – twin turbo. It’s a direct plug-in to the factory wiring and controls the factory twin turbochargers. This product is a plug-in ECU designed specifically for the 6 cylinder coil on plug RB2xDE(T/TT) and VG30DETT vehicles. It’s a direct plug-in to the factory wiring and allows you to expand the system to use all the features of the 440 ECU. NOTE: Factory traction will not work with this plug-in ECU. This product is a plug-in ECU designed specifically for the distributor type 3SGTE MR2 / Celica vehicles. It’s a direct plug-in to the factory wiring and allows you to expand the system to use all the features of the 440 ECU. This product is a plug-in ECU designed specifically for the Mitsubishi Evo 4-8. It’s a direct plug-in to the factory wiring and allows you to expand the system to use all the features of the 440 ECU. This product is a plug-in ECU designed specifically for the NB8A model MX5 / Miata (1999 – 2000 model, no variable valve timing, fixed headlights). It’s a direct plug-in to the factory wiring and allows you to expand the system to use all the features of the 440 ECU. This product is a plug-in ECU designed specifically for the NB8B/C model MX5 / Miata (2001 – 2005 model, variable valve timing or factory turbo). It’s a direct plug-in to the factory wiring and allows you to expand the system to use all the features of the 440 ECU.